Your bedroom is your personal getaway and the place where you’ll spend many hours in. These simple ideas and innovative tips can create a room that both impresses and reflects your personality. Give your personal space some glamour with a statement bed frame. Whether it be a four-post bed or a platform, the options for a stylish bed are endless! New bedding can give your space an instantaneous glamorous upgrade. Top your bed with covers made for snuggling, like a down comforter. You'll be beyond cozy in the wintertime! You want everything in your bedroom to radiate comfort. Whether you prefer warm or cool colours, pick ones that give you a sense of calmness and tranquility (after all, this is where you sleep). Nothing ruins the start to a new day more than stepping out of bed onto a cold, hard floor. 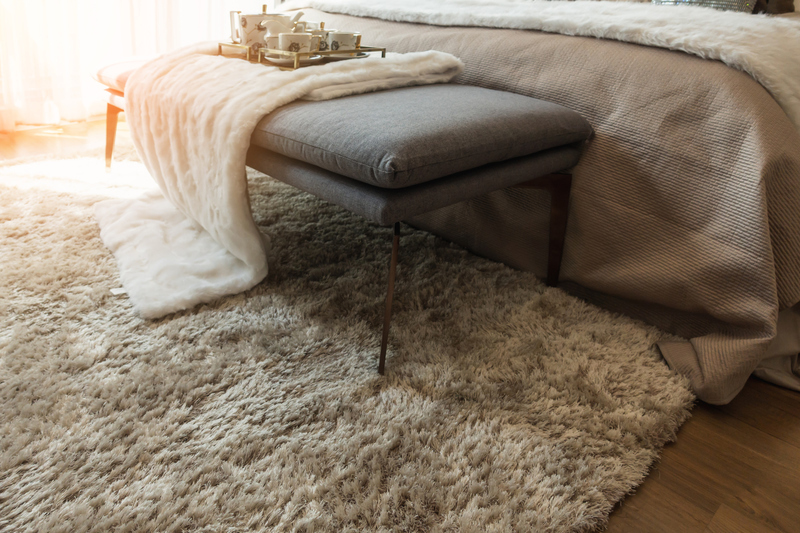 Do your feet a favour and make sure they’re greeted with a cushy rug. Choose something soft, stylish and timeless. Give yourself options by adding a dimmer or opt for several light fixtures throughout the room. If your room is small, nightstands and lamps affixed to walls are a great way to add more lighting without taking up space. If you're going to be hanging out in your bedroom, you need a spot to sit other than your bed. Tuck a cozy chair into a corner along with a standing lamp for an instant reading spot. The most important aspect of your bedroom design is that it should express your personality. Include artwork, knick-knacks and photos of all the things that you adore and are important to you. 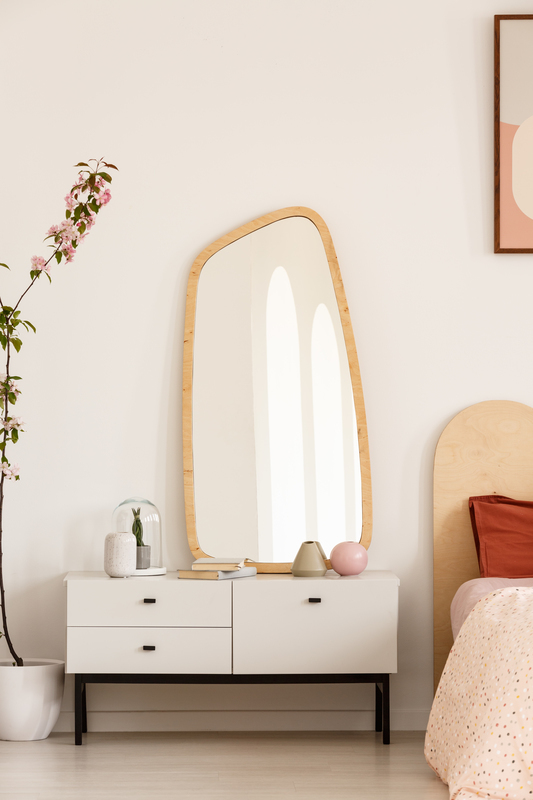 Mirrors really are a designer’s best friend. Whether hung or propped up against the wall, they make any space feel larger and brighter. Pillows can be comfy and cute, but there is such a thing as too many. 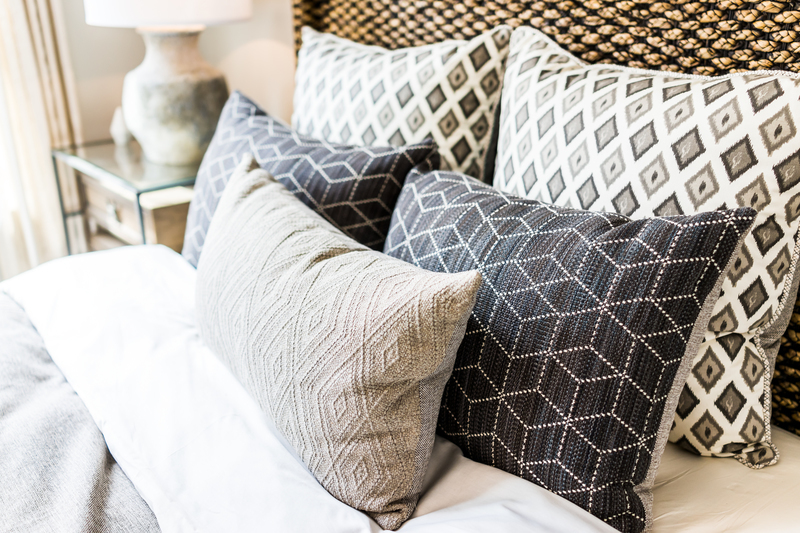 The general rule of thumb is usually between two to six pillows, depending on the size of your bed. Don’t be afraid to “shake” things up. Moving around a room's furniture or décor, can add new life to a familiar space. If you want to start small, rearrange items in a bookshelf for a new look. If you have any other tips or tricks for a bedroom makeover, be sure to share them with us on Facebook. Devonleigh Homes pays attention to the needs of their purchasers while designing their model homes and it is the purchasers that complete the look by paying attention to three important areas. Function, mood and personality.